Nepal Gadhimai festival – Losing my religion! Disclaimer: – The following post may ripple through your religious sentiments…so be it! The nefarious acts against animals seem to be on a never-ending spiral loop. Every 5 years, the otherwise pristine Himalayan state of Nepal witnesses the gory bloodshed which notoriously relates to Nepal Gadhimai festival or ‘The World’s largest animal sacrifice’. 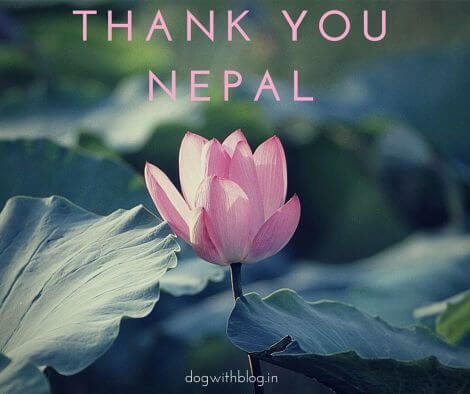 Animal rights activists have termed the sacrifices a ‘shame on Nepal’ and urged for immediate actions to stop the barbaric killing of animals. Come December 2009, the heinous act would be resurrected again and 200,000 animals would go under knives to please goddess Gadhimai in Bariyarpur, Bara District. Call me an illiterate canine, if you please but then I fail to understand how the slaying of mute species would please a goddess? Nepal’s Gadhimai mela sees carnage that has animals attributed as the symbols of the mental smokescreens which are to be removed by the community. How enlightening is that? How can decapitation of 60,000 young buffaloes and 1, 40,000 wild rats, pigs, goats and little birds bring inner peace and sanctity to humans? Such an episode of atrocity and ruthlessness…all in the name of religion! His Holiness the Dalai Lama in his book ‘The Vegetarian Way’ had quoted ‘Life is as dear to the mute creature as it is to a man. Just as one wants happiness and fears pain, just as one wants to live and not to die, so do other creatures’. Don’t you find it trivial that man has always maneuvered religious connotations to kill innocent animal kind? I guess that he’s doing something more vicious – killing the very soul of mankind. If religion calls for this then us animals have learned enough about the dining table preferences of the deities. The epicurean pleasures that Gods seek are idiosyncratic to themselves, Jesus relishes a baked turkey on a Christmas Eve, Allah prefers cattle and Kali mata will have nothing but the warmest of animal blood. All of it while no sacred text has ever called for animal killing. I wonder if this world of a thousand gods and goddesses has one who has the fetish for human flesh? For the truth remains that no sacred text, none of the doctrines call for animal sacrifices but the pundits, the padres and the ulemas have their own interpretations. …And all of this when the so-called human Gods have us as Ganesha’s mouse, Durga’s lion or the Shivji’s faithful bovine. Guess Lord Ganesha is himself part animal! Is this massacre of God’s worthy creations and flowing ravines of innocent blood, the only salvation for human sins? I am brought back to the thought waves which question if the world in which we live (and where some wait to die silently) is a multitude of Gods and Goddesses for the man alone. Is there not a single divinity for the fauna to be blessed with? Where is the God of small things? We, the animals also kill but never have we connoted a religious background to our killing for food. For we believe that it’s all in the food chain mechanisms and not in gospels. We kill for survival and not to appease the bible. I have always found the killing in the name of religion, the flagitious of all crimes possible. How in the name of sacred texts, the creed, the hymns and mantras can such a massacre be justified? Call on your fatwa, charge me with voicing anathematized verses against the Bible…crucify me, slay me on the altars of the goddess…for I know no fear as you have made me believe my fate lies below the machete. I started out with the purest of rage in my bosom, but now the feeling is also mingled with melancholy or rather regret. Regret for being the most faithful companion of man. I wonder whether my rage would match the atrocious vigor of you humans, truly you belong to a different race. Superior? I don’t think so. Nepal bans animal sacrifice at the Gadhimai festival. Update: As a major victory for animal welfare activists across the globe, Nepal’s temple trust announced to cancel all future animal sacrifice at the country’s Gadhimai festival — the world’s biggest animal sacrifice event held every five years. The Trust also urged all devotees not to bring animals to the festival — a Hindu religious practice which had been continuing for the last 300 years. “The Gadhimai Temple Trust hereby declares our formal decision to end animal sacrifice. With your help, we can ensure Gadhimai 2019 is free from bloodshed. Moreover, we can ensure Gadhimai 2019 is a momentous celebration of life”, said the chairman of the Trust Ram Chandra Shah. Well said, doggy! Completely agree with your noises. If there is one thing we need to do is to learn to think before we perform such atrocious acts in the name of religion and gods! Thanks Gopinath! I wish the multitude of humanity had similar beliefs…hope others get enlightened from your words! Well said. Cannot comment on the atrocities in Nepal but just a minor point. You cannot expect a tiger to go vegetarian, can you? I hope I get my point across! Pingback: Canadian carnage! « Dog with the blog! hats off.. congrats on all the good work.. Very sentimental article nuturing minds against such cruelity…May this massacre stop with anyhow compromise is made available and worship can be done without massacre. laughing. We see the results of pain of animals- bad enery is released to universe, and they come back to humans, floods, cyclones, tsunami finally the worlds end . It is not far. superb written..i like the caption..surely indirectly it’ll help those helpless poor animals..
Kaalu, this is just sooo upsetting. What can one do? Abhishek…Itl b small to jst call ths piece bful, gud, touching…..Its soul stirring. But sadly the pepl who can slay animals to stir their taste buds or pressumably appease deities, Don’t have any soul left. Wld lik to share ths on my wall on FB…so tht atleast the souls tht aren’t completely dead can b brought out of their slumber. firstly … commendable writing, its a perfect balance of anger displeasure as well as logic. as for the practice.. barbarism is seeping in humans every day, absolute disgrace . I remember reading bout the same a year back , a full article full of facts and figures… a more detailed version, the irony was that the person referring the article to me was rather proud of the act… a person very logical and at a senior working position… i was initially shocked but it seems stupidity and ignorance is something we have easily adapted to. Great blog! I am glad that I finally found you! Thanks for what you write. awesome verbal/written slap to religious sacrifices! Its a sharp write up! “Animals with the faces of people”!! preachers of religion such as these are actually doing the contrary than what they must do being a priest! Humans are just entangled within ‘religion’…people say the world has changed that the world has got modern! huh…grow up !! why was this brain granted to humans? wish there were some entrance examination to the mankind…souls we all have ! its just the difference of costumes! but no Man finds peace in over ruling…okay you do you’l have a rocking surprise up the hell! 😡 Sacrifice? this is no Religion but plain Butchery with the tag of Religion! Very powerful and stunning realizations here. The world has clearly gotten out of alignment, tragically, with the way it relates to those who walk on four legs (or are transported by wings.) As you write, “Call me an illiterate canine, if you please but then I fail to understand how the slaying of mute species would please a goddess?” Perhaps that is the most meaningful question of all. We need to ask it more. Pingback: Stop Canada Seal Hunt! Next Next post: How I got adopted by an absolutely awesome Himalayan mastiff?